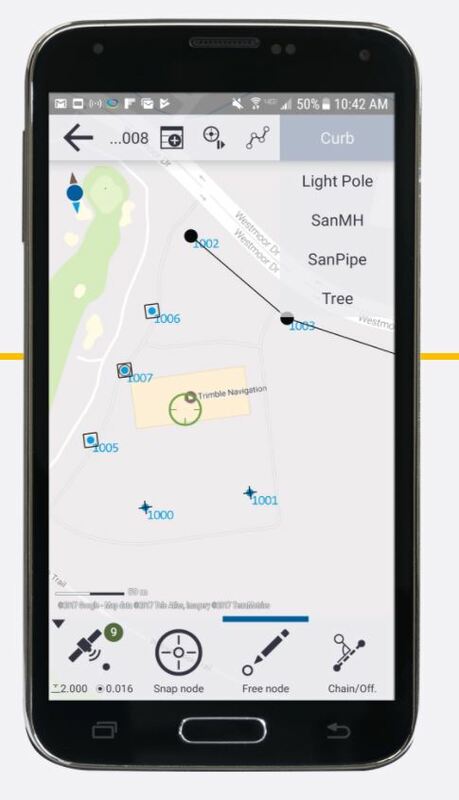 Trimble® Penmap® for Android™ is a powerful, yet incredibly straightforward, cloud-connected application for field surveying and high-accuracy GIS data collection. 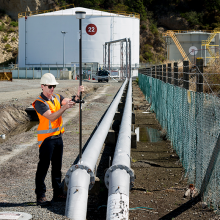 It’s designed to do all the basics well, and provides both professional surveyors and field workers with an intuitive, easy-to-use map-based interface for entering and managing features and attributes. Supporting a select set of essential features, it’s focused and efficient—ideal for the work you need done. 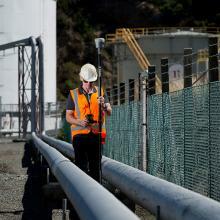 Provides core survey functionality including cadastral and boundary surveys, stake-outs, QA/QC checks, and records and stores all measurement data. Syncs with Trimble Connect, a collaborative cloud platform, for easy upload and transfer of data between office and field and back. Includes a powerful Feature and Attribute system that is fully compatible with industry standard surveying/CAD, GIS, and data management applications. 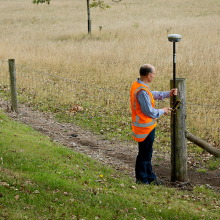 Supports survey tasks and high-accuracy GIS data collection within the same application. 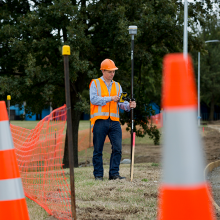 Runs on Android devices such as your own smartphone and tablet, or a fully rugged device like the Android-based Trimble TDC100 handheld. 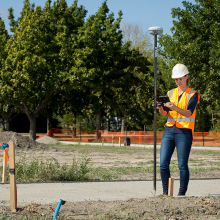 Supports the subscription-based Trimble Catalyst™ software GNSS receiver*, providing very low initial cost of ownership and flexible plans for a complete surveying/GIS system. 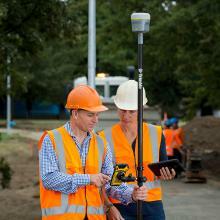 Compatible with full-featured Trimble GNSS receivers such as the R2, R8s and R10. * Trimble Catalyst does not support the TDC100 handheld. 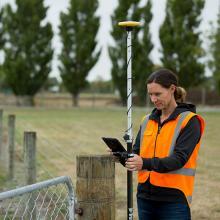 General Surveying: Cadastral and boundary surveys; staking; site calibrations; measurements; land registration; mapping. Electric & Gas: Documenting infrastructure; recording encroachments, clearways, existing monuments; locating crossings. GIS: High-accuracy data collection, features and attributes.